Head down the stairs in most British pubs and you’ll find the toilets, but not this one! 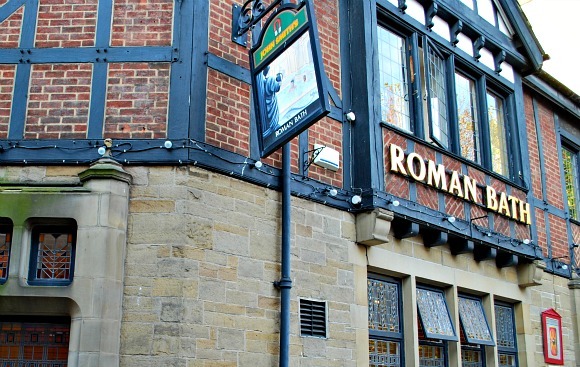 When the pub wanted a larger beer cellar in 1929 they began digging out the basement and discovered the remains of the former Roman Bath of York. It’s thought that this bath may have been used by Emperor Constantine. When you visit the ruins, you can clearly make out the layout of the baths and there’s some history on the walls to explain more about how they were discovered and how they would have been used. Your visit will not take long as the ruins are small, but it was a fascinating bit of York that we didn’t even know existed. This is an extract from our free York City Guide. 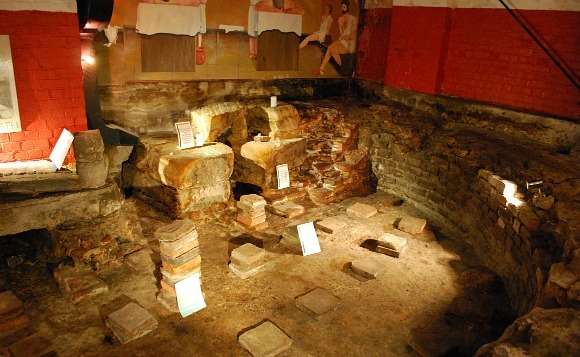 Roman Baths were traditionally built with three separate rooms – the hot steam room, the hot bath and the cold bath. In the museum, signs point out the 3 areas to you. There is also some Roman armour and weapons on display along with original tiles which were excavated from the site. Some of these tiles are said to show the imprints from the shoes of Romans who trod on the tiles before they were set. There is also a small shop at the rear of the museum. When you descend the stairs in the pub, there is a ticket desk just as you enter the museum. The museum host was a mine of information and was happy to help with any extra questions you might have. 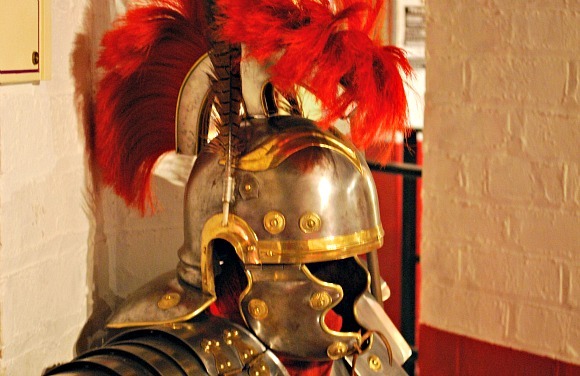 The Roman Bath museum is open daily from 11am to 4pm. Adult admission is £3.50 (2012 prices) but entrance is free with the York Pass.